White House aide Charles Colson and Watergate burglar E. Howard Hunt discuss Hunt’s demand for “hush money” (see June 20-21, 1972 and March 21, 1973) in a telephone call. Hunt says he called “because the commitments that were made to all of us [Hunt and the other six burglars, all of whom are facing trial] have not been kept.” He continues: “There’s a great deal of concern on the part of the seven defendants. There’s a great deal of financial expense here that is not covered. What we’ve been getting has been coming in very minor drips and drabs. We’re now reaching a point at which—” “Don’t tell me any more,” Colson interjects. Hunt says, “[T]his thing should not break apart for foolish reasons,” which Colson interprets as a veiled threat that Hunt will begin talking to prosecutors about his involvement in the Watergate conspiracy. Colson seems to get the message: “Christ no.… You’ve told me all I need to know… the less I know really about what happened, the more help I can be to you.” Hunt says: “We’ve set a deadline now for the close of business on November 25 for the resolution, the liquidation of everything that’s outstanding.… I’m talking about promises from July and August. We could understand some hesitancy prior to the election (see November 7, 1972), but there doesn’t seem to be any of that now. Of course, we’re well aware of the upcoming problems of the Senate” (see February 7, 1973). Colson replies, “That’s where it gets hairy as hell.” Hunt continues: “We’re protecting the guys who were really responsible. That’s a continuing requirement. But this is a two-way street.… We think now is the time when some moves should be made, and surely your cheapest commodity is money.” [Reston, 2007, pp. 186-190] Shortly thereafter, Hunt receives more money from secret White House sources (see January 8-9, 1973). President Nixon and senior aide Charles Colson discuss the Watergate trial just underway (see January 8-11, 1973). Nixon has apparently just learned that someone in his re-election campaign planted electronic surveillance on Gary Hart, Democratic presidential candidate George McGovern’s campaign manager. Nixon tells Colson: “I understand [chief of staff H. R.] Haldeman is after some kid that bugged Gary Hart.… But how could that be? Watergate came before McGovern got off the ground, and I don’t know why the hell we bugged McGovern.” Colson replies: “Remember. That was after the California primary” (where McGovern clinched the nomination). Nixon grouses: “That’s the thing about all of this. We didn’t get a g_ddamn thing from any of it that I can see.” Colson disagrees: “Well, frankly, we did, but then, what they mainly used, we know.” Later in the conversation, Nixon brings up the problem of Watergate burglar E. Howard Hunt, who has what Nixon calls a “sensitive position” in the Watergate investigation—Hunt knows enough to blow the lid off the entire conspiracy, and has threatened to reveal it if he is not paid (see Mid-November, 1972). Colson says: “The others [the other six defendants] will just tell the truth and prove their case. But there is one advantage to it. There’ll be a hell of a lot of stuff that’ll come out.… Some counts will be dropped against Hunt. 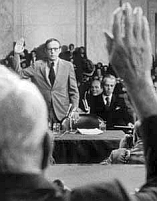 There will be appeals pending in the other cases.” Nixon adds, “As long as this trial is going on, the Congress will keep its g_ddamn, cotton-pickin’ hands off that trial.” Colson is sure the Senate Watergate Committee (see February 7, 1973) will begin immunizing witnesses to testify. Woodward Calls Witnesses - When the court releases the names of upcoming witnesses, Woodward begins calling them, too. 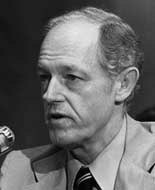 He asks one witness, who knows burglar E. Howard Hunt (see January 8-9, 1973) very well, what he will testify to. “I’ll tell you what I could testify to, but [prosecutor Earl] Silbert won’t ask,” the witness replies. “If the judge does or any of the attorneys, I’ll say it.” The witness has already told everything he knows to Silbert and FBI investigators. Ehrlichman Allegedly Ran Plumbers - He says that if asked, he would tell the court that, according to Hunt, White House aide John Ehrlichman was in charge of the Plumbers (see December 7, 1972). 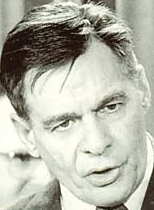 Hunt would have rather dealt with another White House aide, Charles Colson, “because Colson understood that such [secret intelligence gathering operations against political opponents] are necessary.” Ehrlichman was reluctant to implement some of Hunt’s schemes, the witness says, but Colson pushed them through. Former Nixon campaign chief John Mitchell received typed logs and reports of the wiretaps on the Democrats, the witness says. 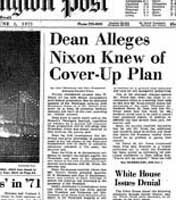 Conspiracy Linked to Dean - Most surprisingly for Woodward, the witness says that when Hunt was in hiding from investigators (see June 18, 1972) and demanding a lawyer, he insisted that White House counsel John Dean find him one. This is the first time anyone has publicly connected Dean to the Watergate conspiracy. Sullivan writes that avoiding or downplaying specific issues would be a mistake. Instead, each issue should “be faced openly, briefly and without equivocation.” The investigation needs to be as brief as possible. Convicted Watergate burglar James McCord (see January 30, 1973) writes a letter to the presiding judge, John Sirica, in response to Sirica’s requests for more information. McCord writes that he is “whipsawed in a variety of legalities”—he may be forced to testify to the Senate (see February 7, 1973), and he may be involved in future civil and other criminal proceedings. He also fears unspecified “retaliatory measures… against me, my family, and my friends should I disclose” his knowledge of the Watergate conspiracy. But McCord wants some leniency from Sirica in sentencing. McCord alleges that the five defendants who pled guilty did so under duress. The defendants committed perjury, McCord continues, and says that others are involved in the burglary. The burglary is definitely not a CIA operation, though “[t]he Cubans may have been misled” into thinking so. McCord writes, “I know for a fact that it was not,” implying inside knowledge of at least some CIA workings. 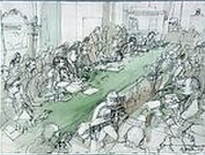 McCord requests to speak with Sirica privately in the judge’s chambers, because he “cannot feel confident in talking with an FBI agent, in testifying before a Grand Jury whose US attorneys work for the Department of Justice, or in talking with other government representatives.” In his discussion with Sirica, he makes the most explosive charge of all: he and his fellow defendants lied at the behest of former Attorney General John Mitchell, now the head of the Nixon re-election campaign, and current White House counsel John Dean. [Bernstein and Woodward, 1974, pp. 275-276; Time, 1/7/1974; James W. McCord, Jr, 7/3/2007; Gerald R. Ford Library and Museum, 7/3/2007] It seems that McCord writes his letter to Sirica in retaliation for President Nixon’s firing of CIA director Richard Helms, and the White House’s attempts to pin the blame for the Watergate conspiracy on the CIA (see December 21, 1972). Motive - Dean’s primary motive for divulging this information is his desire for immunity from prosecution, Kleindienst believes. He adds that Deputy Attorney General Henry Peterson has asked about granting Dean immunity: “and he even comes up to the point where a trump card of Dean would be that I’m going to implicate the president—and I told Henry at that point you have to tell Dean to go f_ck himself. You’re not going to blackmail the government of the United States and implicate the president in the Ellsberg matter.” Nixon, depressed and reckless, says that maybe he should just be impeached and removed from office, letting Vice President Spiro Agnew have the presidency. “There’s not going to be anything like that,” Kleindienst assures Nixon. 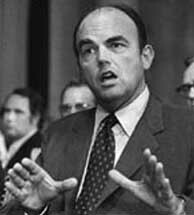 Implicates Nixon Aides - While Dean admits that he had no first-hand knowledge of Nixon’s complicity until September 1972, he directly implicates Nixon’s two most senior aides at the time, H. R. Haldeman and John Ehrlichman, of what Time calls “multiple actions in the Watergate coverup,” as well as former Nixon campaign chairman John Mitchell. White House-Sourced Questioning of Dean Backfires - An initial White House attempt at rebutting Dean’s testimony, consisting of a statement and a list of questions drawn up by White House counsel Fred Buzhardt, are “easily handled” by Dean, and even backfires, to the point where the White House disavows any involvement in the material, saying that they were “Buzhardt’s friendly personal contribution to the proceedings.” The questions attempt to portray Dean as the “mastermind” behind the Watergate conspiracy, with Mitchell his “patron.” Time writes, “Creating a constitutional crisis almost alone, the Buzhardt statement in effect charge[s], Dean and Mitchell kept the truth of all that concealed for some nine months from such shrewd White House officials as H. R. Haldeman, John Ehrlichman, Charles W. Colson—and the president.” But few on the committee find Buzhardt’s contention believable, considering the increasing amount of evidence to the contrary. 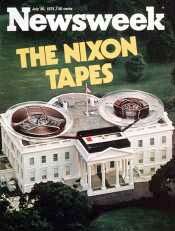 ’Newsweek’ cover on the revelation of the White House taping system. 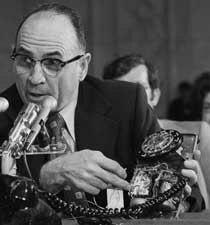 [Source: Ideobook.net]White House aide Alexander Butterfield shocks the Senate Watergate Committee with his revelation of a secret recording system in the White House. Butterfield reveals that since 1971, President Nixon has been recording every conversation and telephone call in the Oval Office. [Gerald R. Ford Library and Museum, 7/3/2007] Butterfield is actually the aide who, at Nixon’s request, had the taping system installed. 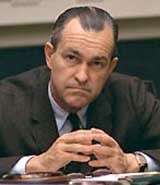 [Sussman, 1974] He is now the administrator of the Federal Aviation Administration. August 16, 1972 front page of the Washington Post, reporting on Nixon’s address. [Source: Southern Methodist University]President Nixon delivers his second prime-time televised speech about Watergate to the nation. 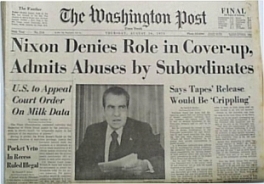 He says that both the Senate investigations have focused more on trying to “implicate the president personally in the illegal activities that took place,” and reminds listeners that he has already taken “full responsibility” for the “abuses [that] occurred during my administration” (see April 30, 1973). But in light of the increasing evidence being revealed about the Watergate conspiracy, Nixon’s speech is later proven to be a compilation of lies, half-truths, justifications, and evasions.